We have been lucky enough to have a few opportunities to get out to some of the local properties around the area. We still have not had the time to get out to Channel Point, although we will have to before we leave. 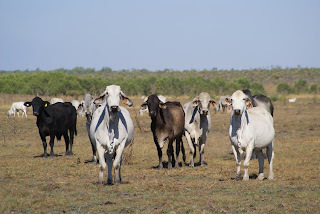 Dad has been out to one of the massive cattle stations a few times but Tim finally took the afternoon off and we all headed out. The boys loved the cows! 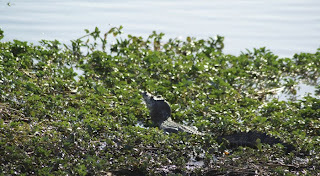 But I enjoyed seeing crocs really in the wild. 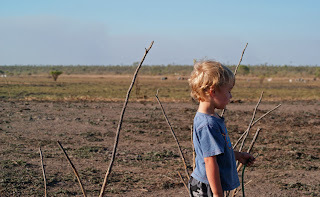 Even though Kakadu is ‘in the wild’ it still feels touristy (and we suspect that if they were even unlucky enough to get low on crocs they would be out there with chickens in the river to bring them back for the cruise boats!) But out here the crocs are real crocs. 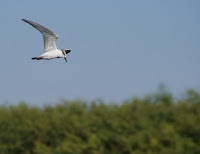 They are really timid and shy and will disappear quick as they see you, so it was extra special to be able to see a couple on the banks rather than just their noses floating silently across the river. 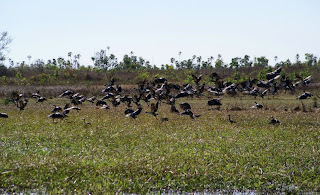 The billabong was crazy alive with ducks! Thousands of them. And a few big flocks of geese (here they are taking off- sorry, Dad) and an incredible range of birdlife, even a brolga made an appearance. 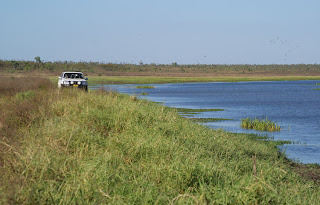 We drove around wildlife spotting through the 7 foot high grass and almost drove straight into boggy mud flats a couple of times - “You should be right through here, Mal…” thanks, Damo (our local guide)!! Don’t mind the swamp up ahead…. LOL! 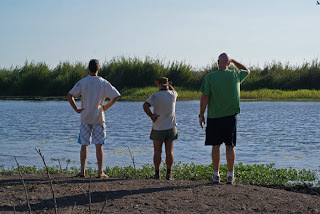 Here are the blokes having a close look.... while at the same time yelling to the kids to keep back from the edge. LOL!